How My Love Life Crashed and Burned… - Coach & Grow R.I.C.H. In honor of the upcoming Valentine’s Day holiday… I recently had an interview with Master Coach Ben Saltzman and we took a deep dive into my intimate relationships and how I would habitually crash and burn… it’s not a pretty picture! It turns out the crashing thing has a lot to do with my personality type, and some wild fears (totally unconscious) that I have about relationships and intimacy. …one of my all-time favorite personality typing assessments and transformational tools. Watch my revealing interview with Ben here. 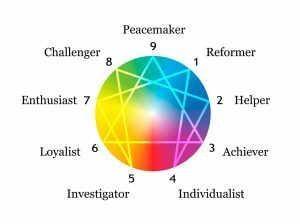 The good news is that the more we understand our Personality Type, the better our relationships are. …And we will also dig into the best methods and techniques for transforming personality types to have more freedom of expression and ultimately better relationships. Woo Hoo! Want better relationships? Watch this interview! Watch the interview and find out what the gift is here!